Dragon, the first commercial unmanned space vessel has successfully docked with the International Space Station, loaded with half a ton of provisions. The historic operation puts Dragon owner SpaceX in line with world’s four mighty space agencies. The ISS docking, which took place at 12:02 pm EDT, marked the first contact between the ISS and a commercial space mission. The docking of the SpaceX’s Dragon spacecraft with the ISS marks the world’s first contact of the station with a commercial cargo vessel. “Houston, looks like we got us a Dragon by the tail!” NASA astronaut Don Pettit quipped as he maneuvered the ISS’ 17-meter-long robotic arm to catch the capsule and pull it to the ISS, in a process that took two hours. The SpaceX Dragon’s approach to the ISS was beset by some difficulty. From an initial position of 250 meters from the ISS on Friday, the spacecraft slowly moved towards the space station over several hours. At approx. 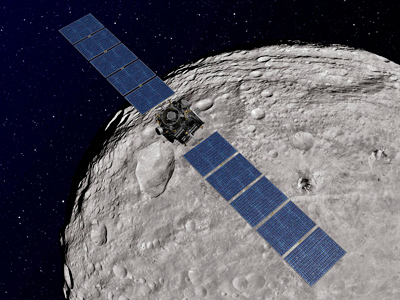 30 meters, flight controllers ordered a retreat back to 70-meters to resolve an on-board tracking sensor problem. Docking was resumed after an hour-long delay. 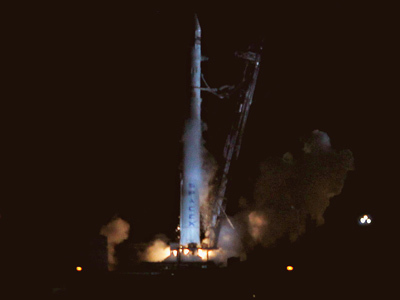 The Dragon was launched by a Falcon 9 rocket from Cape Canaveral on May 22nd after several delays for additional testing. On May 19th launch was aborted during engine ignition, in last half second of the countdown, as onboard computers automatically halted the process. Up until now, only the Russian Federal Space Agency, NASA, the European Space Agency and the Japan Aerospace Exploration Agency were capable of building spacecraft that can reach the ISS. 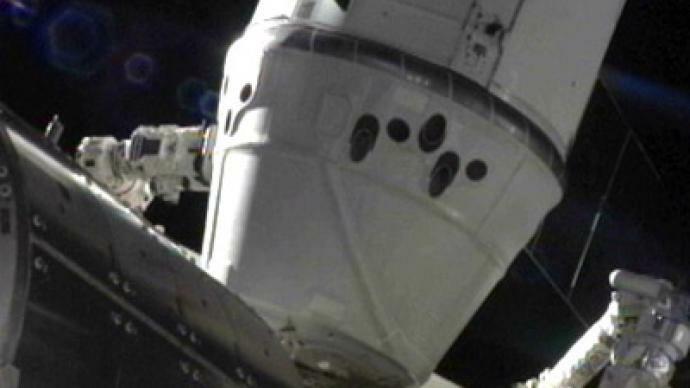 The successful SpaceX Dragon/ISS dock breathed some new fire into space research.